New publications for a new year. The new year comes with a new set of publications. 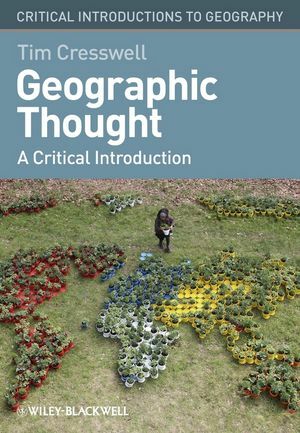 Out now is my book Geographic Thought: A Critical Introduction (Blackwell) with that lovely cover courtesy of Tintin Wulia. This is the product of six years of work and it is finally off my to-do list. It is written in as friendly a way as is possible for a book that is largely about theory. I am aware of an honourable tradition of such books that I was brought up with as a geographer and hope that this adds something accessible, engaging and perhaps even inspirational to geographers of the future. 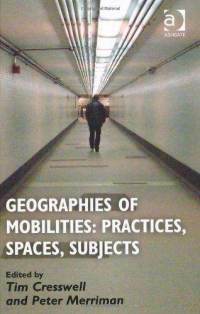 Also just released in paperback form is Geographies of Mobilities: Practices, Spaces, Subjects (Ashgate). This book, co-edited with Peter Merriman, was originally published in hardback only in 2011 and I am delighted to say that it sold sufficiently well to merit paperback status – a disappointingly rare occurrence of academic edited collections these days. Finally – a new paper continuing my attempts to provide a meso-theoretical account of mobility (this time with colleague/friend, Craig Martin). The paper reflects on the theoretical/empirical importance of the notion of turbulence for mobility studies. It draws on the work of Michel Serres and reflects on the grounding of the container ship Napoli off the coast of Devon. The paper is in Tijdschrift voor economische en sociale geography Vol 103, number 5, 2012. The whole issue focussed on important issues in mobilities studies. This year has several goals (apart from moving successfully to Boston and starting a new job etc.) – a second edition of Place: A Short Introduction is in the works, a couple of “Handbooks” – one on “place” and other on culture geography, my book on Maxwell Street, Chicago and, most excitingly right now – the poetry collection – Soil – in July. Expect a party! 2 Responses to New publications for a new year. Congratulations on the publications. I’m very much looking forward to Geographical Thought (and I really like the cover), it will be next on my reading list after I get through Yu Fu Tuan’s Humanistic Geography which just arrived yesterday. Good luck with your endeavours.